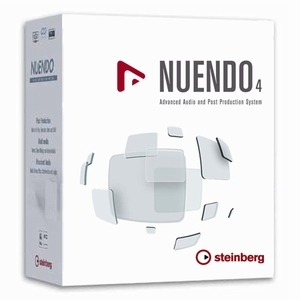 Experience a new level of true integration with Nuendo 4.2 and the new Steinberg audio hardware. The MR816 CSX and the MR816 X are a new generation of solutions for audio professionals. Together with the CC121 Advanced Integration Controller, MR 816 CSX and MR 816 X are the first products, melding with Nuendo to form a new level of all-round solution. Developed by Steinberg and Yamaha and precision-manufactured by Yamaha to the most exacting standards, the MR816 CSX and the MR816 X are a new generation of advanced integrated interfaces of solutions for audio professionals. All aspects of I/O setup and configuration, handling and routing are mirrored between Nuendo and MR816 CSX and MR816 X.
MR816 CSX and MR816 X both feature direct integration into Nuendo 4.2 through unique windows and views within Nuendo that give full access to all hardware functionality. The Advanced Integration DSP Studio series enable the Nuendo mixing engine to create no-latency monitor mixes, using onboard VST3 DSP FX to include EQ, Compression and Reverb to quickly tailor a mix for a performer. Nuendo 4.2 can take full advantage of the MR816 CSX and MR 816 X onboard DSP chip. Both units feature Yamaha’s renowned REV-X reverb and the MR816 CSX can run up to 8 instances of the first-class Sweet Spot Morphing Channel Strip plug-in, featuring the latest compression and EQ technology. The full DSP capability is also accessible VST plug-in for mixing playback tracks in Nuendo! The unique Quick Connect feature allows for instant routing and rerouting of inputs to Nuendo tracks on the fly from the front panel of the I/O with the push of a single button.